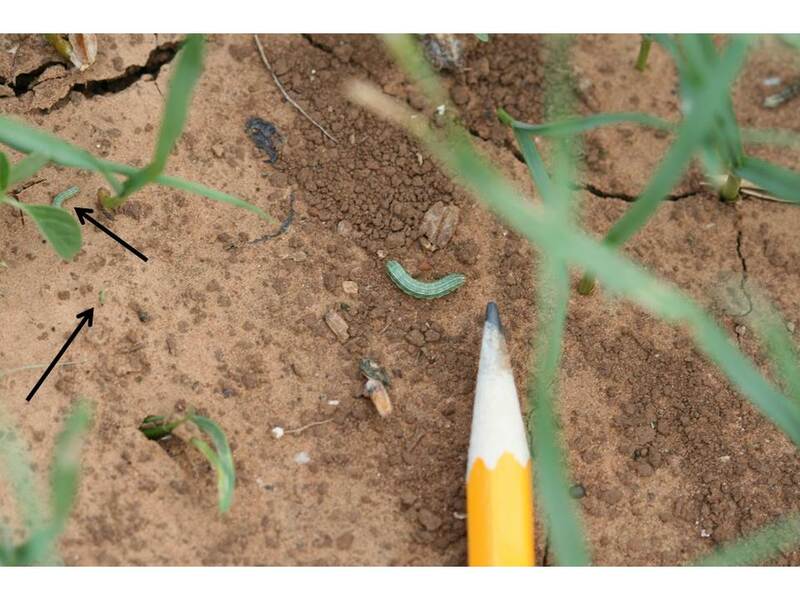 Oklahoma: We’ve not seen any diseases so far this fall around Stillwater, but we have been relatively dry and much of the wheat was not planted until the past couple of weeks. 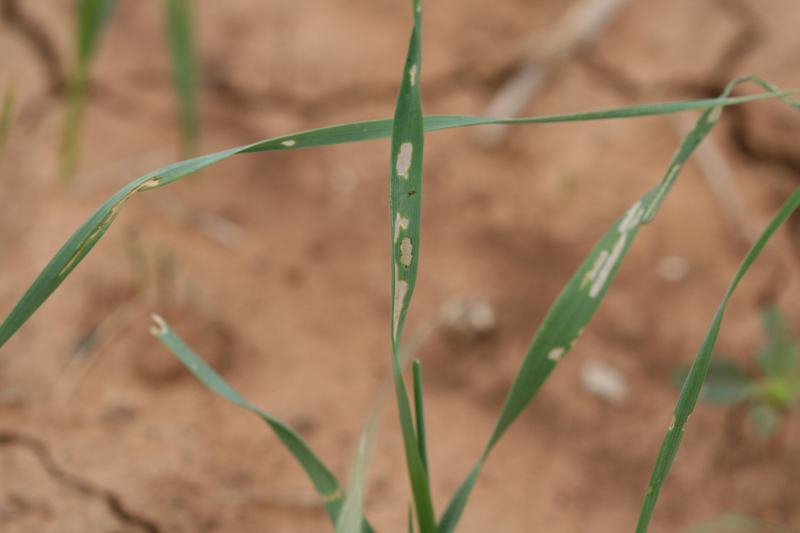 Mark Gregory (Area Extn Agron Spclt – southwestern OK) indicated to me earlier this week that he has not seen or heard any reports of leaf rust or other diseases. 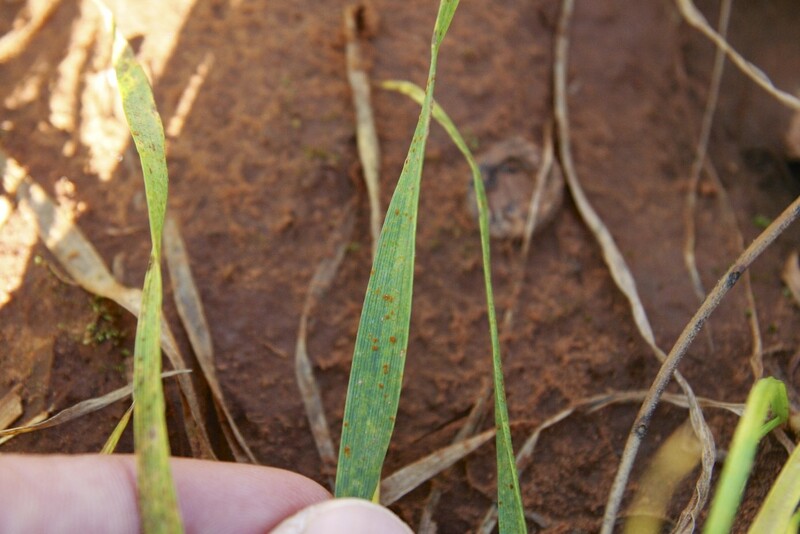 However, Bryan Vincent (Crop Scout – NW/NC Oklahoma) sent me some photos of leaf rust pustules he found in several fields around the Aline-Helena area (30-40 miles northwest of Enid in north-central OK). The pustules were extremely sparse and found only in very early planted wheat. Bryan also reported seeing some light tan spot infections. Leaf rust also has been observed in Kansas, Colorado, and Nebraska (see reports below), and stripe rust has been reported in Wyoming, Montana and the PNW. When leaf rust occurs in the fall in Oklahoma, the question arises regarding the value of spraying to control that rust. Fall-infected leaf rust plants typically have yellowed lower/older leaves with rust pustules, but the youngest 2 or 3 leaves are green and healthy. As temperature drops through November and December, the older rust-infected leaves die and new infections are greatly slowed and inhibited. Grazing also helps to remove these leaves and increase air circulation and drying that are conditions less favorable to spread of the disease. Given these considerations, spraying to control leaf rust in the fall is of limited value. The primary concern with fall infections of leaf rust is that with a mild winter and sufficient moisture, the rust will survive through the winter and inoculum will be present in fields to start the disease early in the spring. 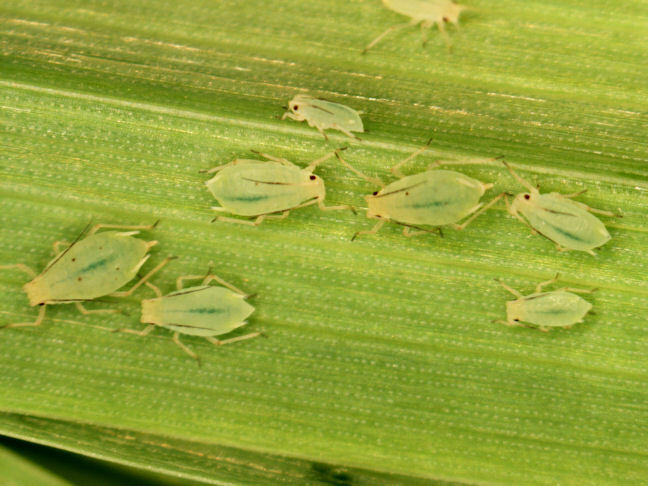 Hence, monitoring of these fields through the winter and early next spring is recommended to determine if a split application of a fungicide is merited to control the rust (and also possibly tan spot, septoria, and/or powdery mildew) in the early spring. Kansas (Dr. Erick De Wolf, Extn Plant Pathologist, Kansas State University) 27-Oct-2014: Wheat Leaf Rust Update in Kansas: Planting of the winter wheat crop in Kansas is well underway. Farmers are reporting that wheat has emerged and is looking good in many areas of the state. Wheat planting on some farms was delayed by a late soybean harvest this fall, but these acres should be planted soon. I was checking wheat this week in Manhattan (Northeast KS) and found leaf rust in some research plots. This wheat was sown about 2-weeks prior to the optimal planting date but well within the normal planting range for wheat production in the state. The leaf rust was not difficult to find with disease incidence near 5% some plots. The severity was 2 percent or less on most of the infected leaves. This level of fall infection of leaf rust is common in Kansas; however, 60% of the time cold temperatures and leaf desiccation during the winter months will eliminate the disease in many fields. Ned Tisserat, retired plant pathologist from Colorado State University, also reported leaf rust in Northeast Colorado this past week. So it is possible that leaf rust is active in other areas of Kansas as well. I will be checking other locations for leaf rust in Kansas this coming week and let the group now what I find. Nebraska (Dr. Stephen Wegulo, Extn Plant Pathologist, Univ of Nebraska) 27-Oct-2014: On Friday last week, Oct 24, I answered a call from a crop consultant who told me there is leaf rust in several wheat fields in the Panhandle of Nebraska. This blog post contains information from OSU Current Report 2135 Protein Content of Winter Wheat Varieties in Oklahoma. A complete pdf version of the report with a brief explanation of sampling procedures can be found at www.wheat.okstate.edu. The grass always seems to be greener on the other side when it comes to wheat protein. In a low protein year, everyone is scrambling to find higher protein wheat to blend. In a high protein year, such as this one, the same low protein wheat that was considered marginally acceptable the year before might command a slight premium. While wheat protein is important to end users, wheat protein is just one of many attributes which determine end-use quality and marketability of winter wheat. In fact, some millers and bakers would argue that functionality of wheat protein is more important than the quantity of protein. While varietal differences commonly exist, differences in wheat protein among environments are generally much larger than differences among varieties. Factors such as nitrogen fertility and drought stress, for example, can sharply impact final protein content of the grain, and most producers are better served focusing on good agronomic practices than slight genetic differences in wheat protein content. To reflect environmental impacts on wheat grain protein content, 2014 wheat variety test data are reported by variety and location in Table 1. The 18.5% average wheat grain protein for the Thomas location is a good example of how fertility and environment can impact protein content. Soil tests at the time of sowing revealed 141 lb/acre of residual nitrogen available, which should be enough to produce a 70 bu/acre wheat crop. Due to extreme drought, however, average grain yield at Thomas was 13 bu/acre. Under these circumstances, wheat plants were able to pull large amounts of nitrogen from the soil and move this nitrogen to the developing grain. Grain size was reduced and grains were shriveled due to drought, thus resulting in abnormally high wheat protein. A similar situation was reported for Altus in 2013. In Table 2 we reported the wheat grain protein content as a deviation from location mean for each variety, as this provides easier comparison of wheat grain protein among varieties across locations. Billings, for example, is a variety with solidly positive deviation from location means, indicating it has a tendency for above-average grain protein content. Iba, on the other hand, has negative deviations from location means, indicating a tendency for lower than average grain protein content. Adequate nitrogen fertility as recommended by a recent soil test or sensor-based nitrogen management program can help ensure that varieties such as Iba produce grain protein within the acceptable range for end-use customers. Iba is also a prime example of how protein data can sometimes be misused, as the functionality of the protein in Iba is above average, which can offset lower absolute grain protein content.